These bread makers have a lot in common, but there is a significant price difference. Here’s how to determine which one is right for you. 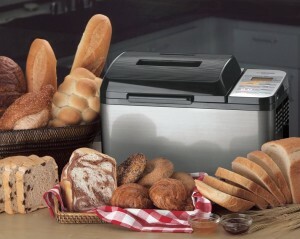 These two bread machines feature a horizontal loaf and a two-paddle kneading system. 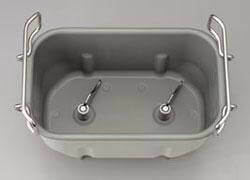 While both tout the two-paddles as a way to effectively knead the dough, they are in fact necessary in a horizontal bread pan. What’s the Big Deal with a Horizontal Versus Vertical Loaf? Most bread machines produce a vertical loaf and one kneading paddle in the center of the bread pan. A horizontal loaf would never sufficiently gather the flour from the corners of a horizontal bread pan with a single paddle. Some people like a horizontal loaf similar to what they buy at a store rather than the tall vertical loaves most bread machines produce. While all manufacturers of horizontal bread pans in bread machines love to tout the benefits of two paddles for exceptional kneading, be aware that it’s a necessity for a horizontal loaf -not an arbitrary benefit. Any bread machine with a horizontal bread pan “needs” two paddles, otherwise the flour and ingredients in the corners of the bread pan would never get incorporated into the dough. 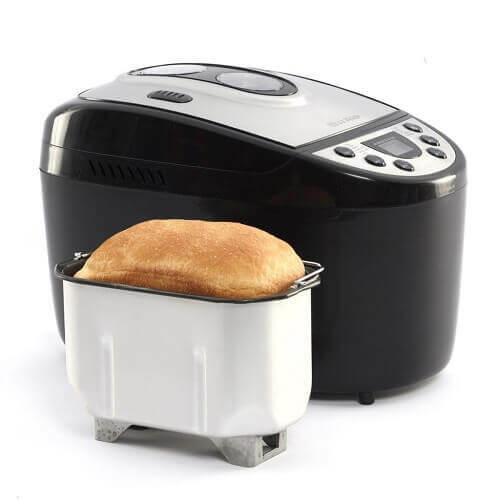 The West Bend 41300 Hi-Rise Electronic Dual-Blade Breadmaker features a bread-pan size that allows for a horizontal loaf that is more traditional in terms of shape, and its dual-blade paddles ensure a very good kneading cycle for proper rise and result. The unit offers 11 pre-programmed settings; 3 crust shades; a digital control panel and a12-hour delay timer. It bakes loaves in a 1 pound, 1.5, 2 pound and 2.5 size all in the horizontal configuration. The pans are non-stick, Teflon. It also has an optional, dual-loaf 1-pound insert that allows you to bake two 1-pound horizontal loaves. 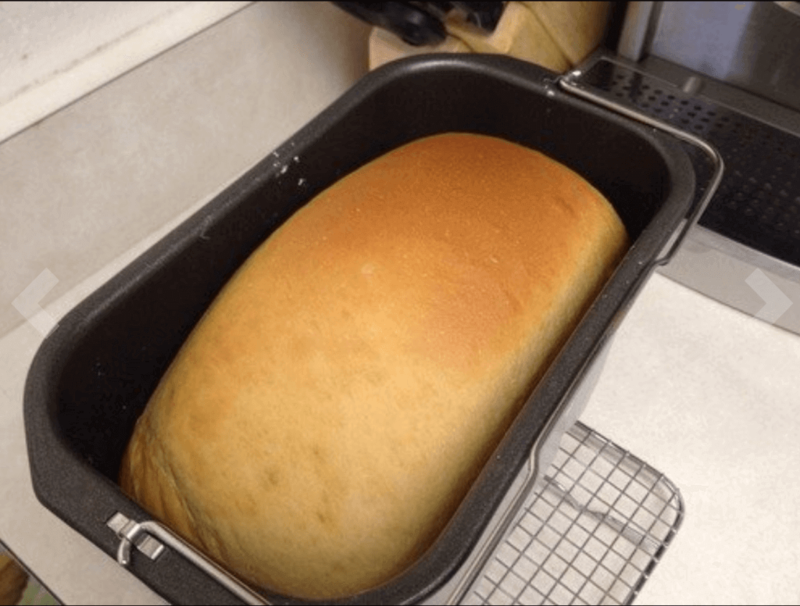 The Zojirushi BB-PAC20 Home Bakery Virtuoso® Breadmaker is designed and built by one of the top-of-the-line breadmakers on the market from a company that has been in operation for almost a century. Featuring a unique top-browning feature and two kneading paddles, the Home Bakery Virtuoso bakes a consistent loaf every time. Preprogrammed with 3 crust shades and 13 settings including: Basic, Basic Wheat, Basic Dough, Quick, Quick Wheat, Quick Dough, Jam, Cake, Sour Dough Starter, and 3 homemade menu options. The control panel is integrated with a digital clock that will allow you to set a timer to bake your bread up to 13 hours in advance. The purpose of this review is to compare the features relative to the price to help you determine which one is right for your needs. To begin, here is a table that compares features. If you click on the “Full Review” you’ll see how we have defined the unique characteristics of each. On the surface it appears that the West Bend is the best value for the price. But once again, value is a two-sided equation. It’s about what you get for what your pay. There are product quality issues with this West Bend machine based on previous owner comments, but most of those issues are related to lack of support from West Bend and difficulty in purchasing replacement parts such as kneading paddles. Zojirushi is a dependable and reliable brand and they have very good support, but the machine is very heavy and large and one of the most expensive. Both consistently create a good loaf of bread based on customer reviews. The big question has to do with your baking frequency. If you are baking breads from you bread machine everyday and year after year, you might be better served with the higher-priced Zojirushi. If you’re an infrequent baker, the West Bend should serve you fine. 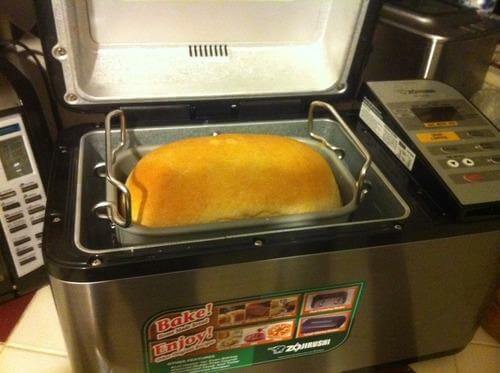 How Often Do You Bake Bread in Your Machine? If you are an occasional baker the West Bend will perform fine although it will be a bit noisier. What gives the Zojirushi a benefit with noise is it weight and size. It’s 10 pounds heavier than the West Bend and that reduces vibration. Whether or not that’s an issue for you is up to you. Some people complain that their bread machines travel across the counter top during the kneading process. If that’s a concern for you, go with the Zojirushi. It’s 10 pounds heavier than the West Bend. How Much Product Support Do You Need? Zojirushi also has excellent support, although most bread maker machine owners don’t need it. If you need consistent help with your bread maker Zojirushi is very good with support. West Bend is less so, but this isn’t like buying a computer and if the machine is performing ,and you follow the recipes you shouldn’t need to worry about it too much. The fact of the matter is that both machines perform very well with similar features. Your purchase decision should really be based on frequency of use and your need for support. If money is no object, go with the Zojirushi. If money is a consideration and your don’t bake that often, the West Bend is a wise choice.